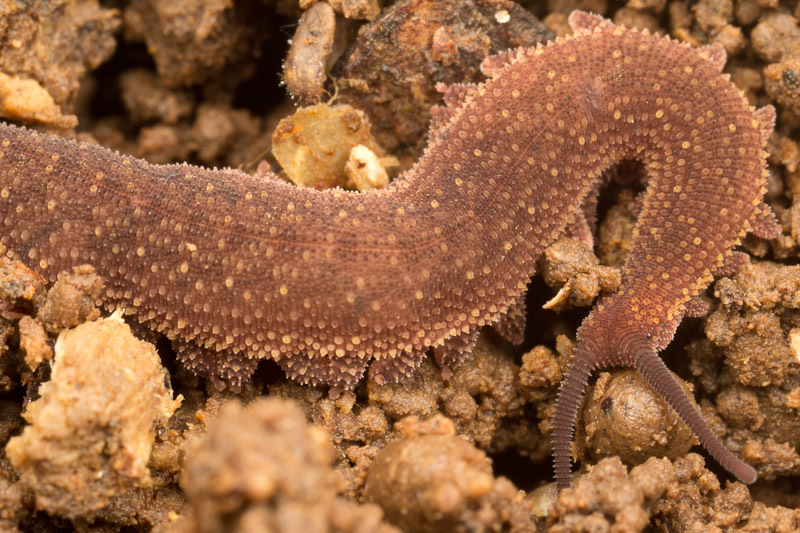 As mentioned in my previous posts about the velvet worm above, I researched a bit before traveling to increase my chances of finding one. Only after the trip, when I started thinking about identifying it, did I realize I didn’t know what characters are important in identifying Onychophorans. Undaunted, I started searching the internet for someone that might be able to help me identify it. I started with Julián Monge-Nájera. 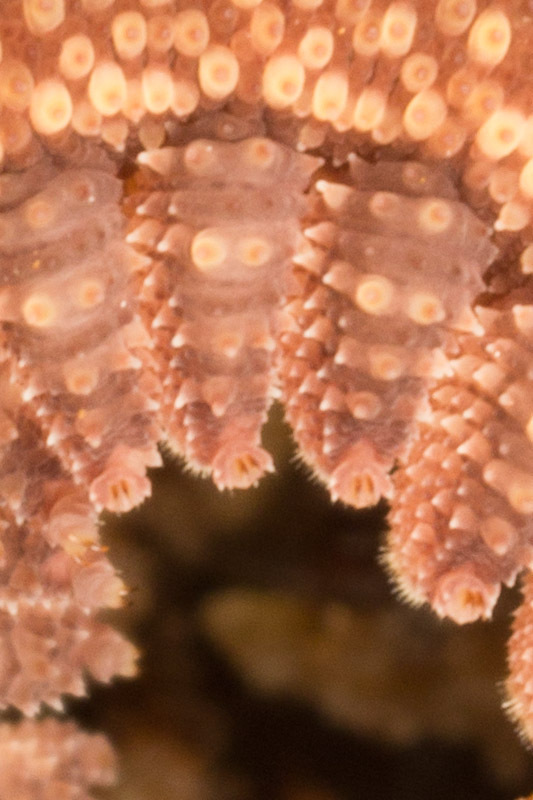 Julián explained that he writes about Onychophoran ecology. He put me in touch with a taxonomist coauthor, Bernal Morera Brenes. Both were extremely helpful. Not only did they give me access to some of their relevant articles, they gave me permission to publish those articles here. Initially, just based on some overview photos I provided, they thought I might have photographed an undescribed species. Bernal even jokingly chided me for not keeping it, but we both know I couldn’t do that because I found it within a national wildlife refuge. After I started mining my photographs to try and discover identification characters though, it became much more likely that this is in fact a described species, one that has been collected not far from where I found this one. First, we know the family is Peripatidae. All Central American onychophorans belong to that family, as shown by this handy wikipedia map. Bernal first asked me how many legs it has. Turns out I had only a few pictures showing the whole specimen, and none provided a clear count. My best guess was 28. Before I could even reply, I received another query that turned out to be more relevant. 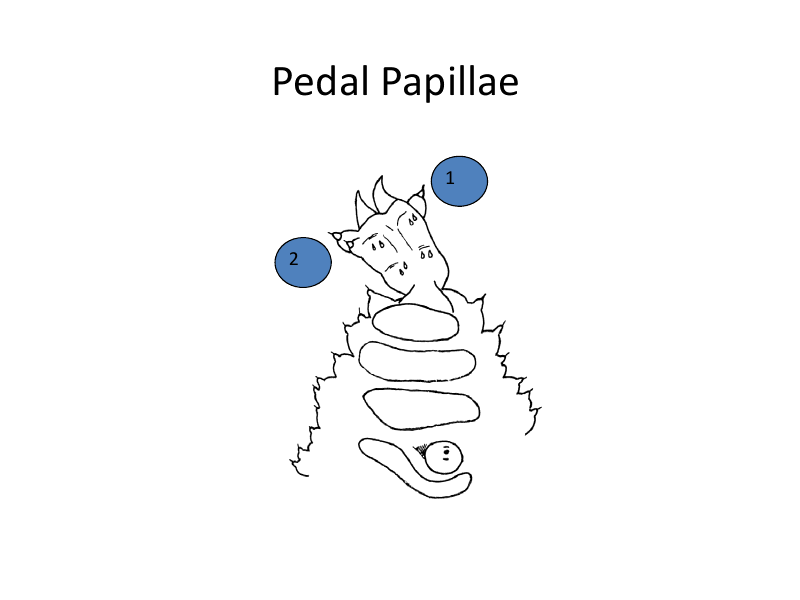 How many pedal papillae does it have and how are they arranged? Specifically, are there two on one side and two on the other, or two and one? Thankfully, he provided this helpful illustration. That turned out to be easy to answer, being two anteriorly and one posteriorly. Here’s some photos I sent for confirmation. Bernal also asked how many antenna rings there were. I sent the following photo, but I had no idea how to count them. How many rings? Beats me. Where does one start and end? 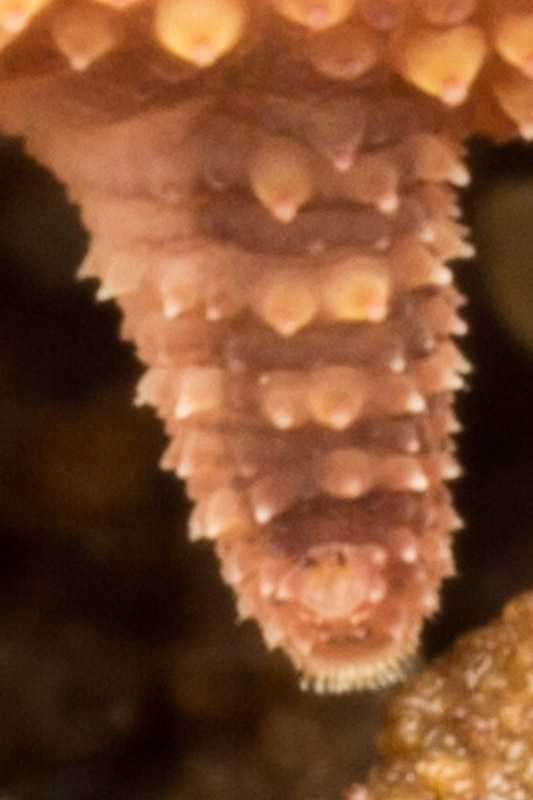 I don’t think the antenna rings mattered, because the pedal papillae were enough to identify this specimen as belonging to the Caribbean group, a collection of five genera. 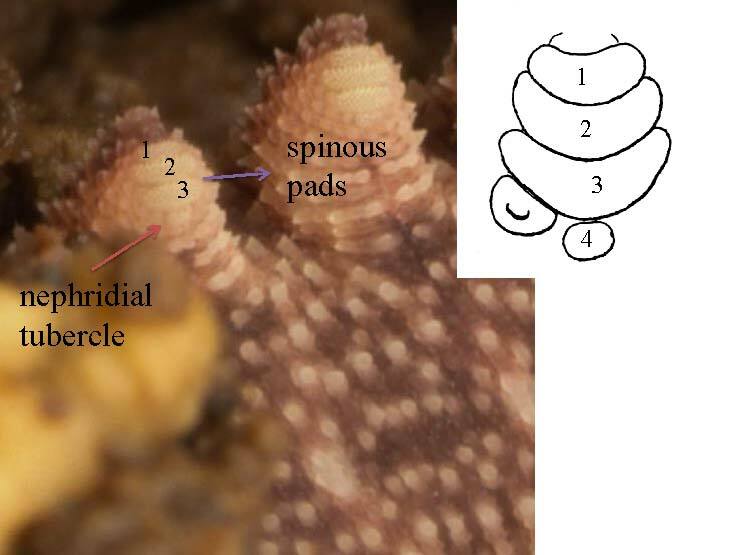 To narrow it down further it was necessary to look at something called spinous (or creeping) pads and a nephridial tubercle. 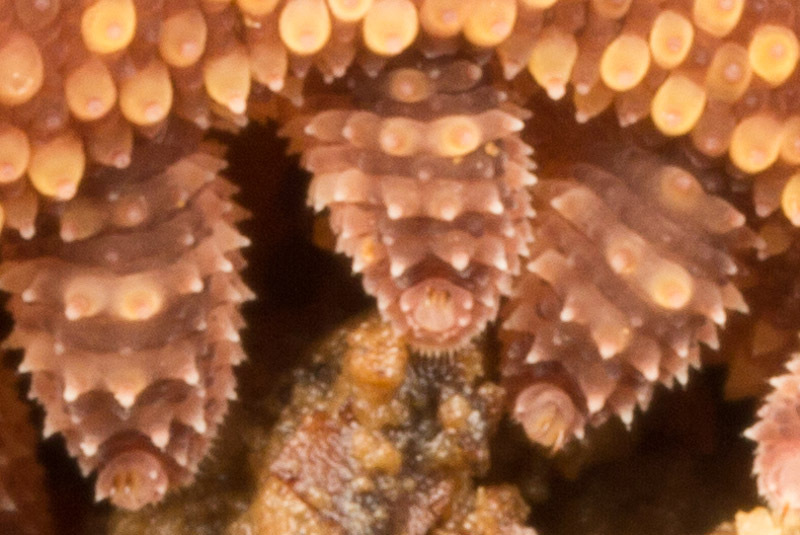 Unfortunately the combination is visible only on the fourth and fifth pair of legs. I sent a photo that I thought might have captured that, and Bernal sent it back annotated, below. With that, Bernal declared this to be Epiperipatus isthmicola or a very closely related (undescribed) species. 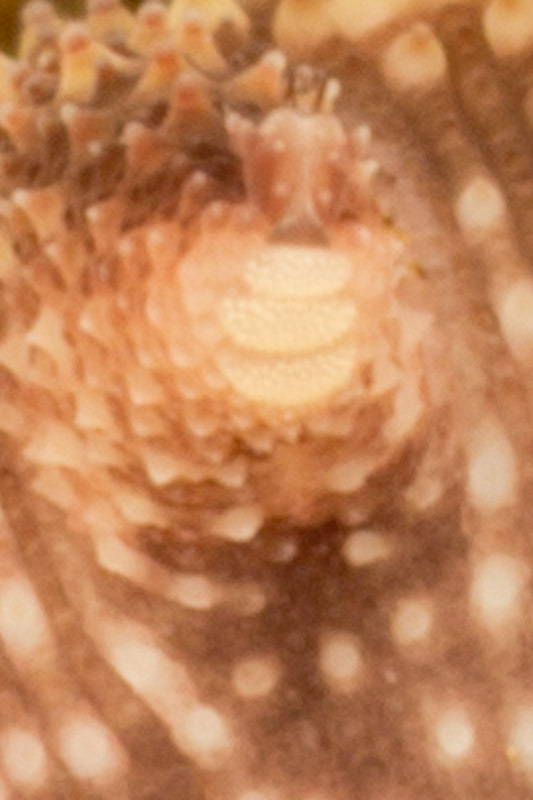 Here’s another look at the underside of a foot, showing the spinous pads and pedal papillae. 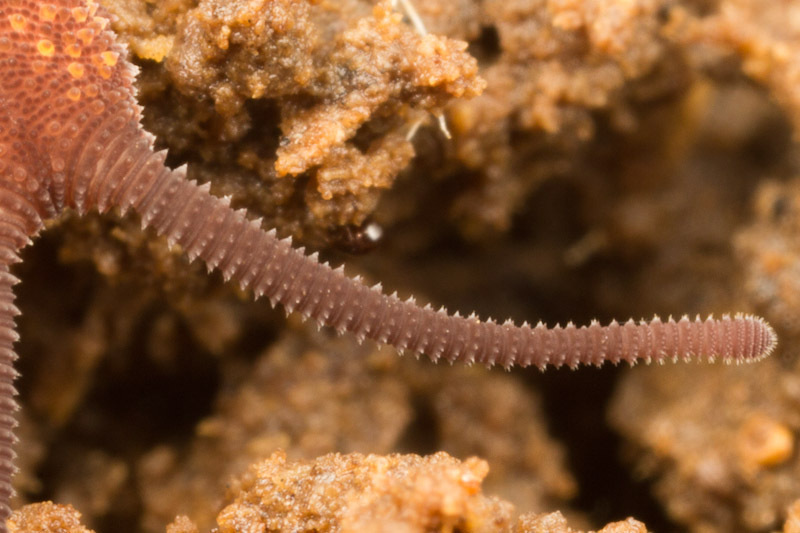 Bernal congratulated me for having found a live onychophoran in the field, something he claims very few biologists have even done. If you’re lucky enough to find one yourself, hopefully this post will give you an idea what to make note of if you hope to identify it. Muchas gracias to Bernal and Julián for helping me out and for allowing me to post the following articles here. Nice! I love these ID detective stories. It’s also amazing how cooperative specialists can be in response to unsolicited queries for help – I’ve only rarely had one not try to help.